Dawn White-O’Connor and Legolas 92. Photo: SusanJStickle.com. Rotterdam, Netherlands – Continuing their European Nations Cup tour, The Dutta Corp. U.S. Dressage Team will compete at FEI Nations Cup CDIO5* Rotterdam, June 22-25. The U.S. team, led by Chef d’Equipe Robert Dover, includes Dawn White O’Connor, Kasey Perry-Glass, Laura Graves, and Olivia LaGoy-Weltz. 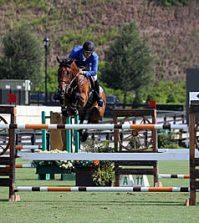 Additionally, U.S. combinations Charlotte Jorst with Kastel’s Nintendo, Adrienne Lyle with Salvino, and Shelly Francis with Doktor will compete individually in the CDI3* competition. The Dutta Corp. U.S. Dressage Team will ride in the following order. Dawn White-O’Connor with Legolas 92: White-O’Connor (Cardiff, Calif.) and Legolas 92 make their first Nations Cup appearance together. 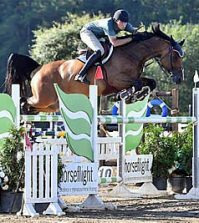 White-O’Connor and Four Winds Farm’s 2002 Westphalian gelding posted back-to-back victories in the Grand Prix and Grand Prix Special at the Dressage Affaire CDI3* in San Juan Capistrano in March. The combination then went on to win the $2,000 FEI Grand Prix Special at the Del Mar National Horse Show. Olivia LaGoy-Weltz with Lonoir: In 2016 and 2017, LaGoy-Weltz (Haymarket, Va.) and her own 2004 Danish Warmblood gelding placed inside the top ten at every major competition. Already in 2017, LaGoy-Weltz and Lonoir accomplished eight top-ten finishes, including first place titles in the Grand Prix and Grand Prix Special during the Stillpoint Farm FEI Nations Cup CDIO3* at the 2017 Adequan® Global Dressage Festival (AGDF) in Wellington, Fla.
Kasey Perry-Glass with Goerklintgaards Dublet: Perry-Glass (Wellington, Fla.) and Goerklintgaards Dublet, Diane Perry’s 2003 Danish Warmblood gelding contributed to the team bronze medal at the Rio 2016 Olympic Games. They then went on to achieve a top-ten finish at the 2017 FEI World Cup™ Dressage Final in Omaha, Neb. and recently won the USEF Grand Prix Dressage National Championship at The Dutta Corp. U.S. Dressage Festival of Champions. 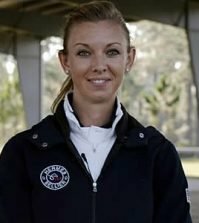 Laura Graves with Verdades: Graves (Geneva, Fla.) is a well-known face on the U.S. dressage landscape. 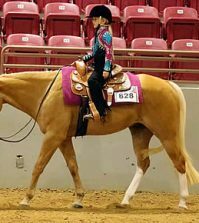 She and Verdades, her own and Curt Maes’s 2002 Dutch Warmblood gelding, placed second at the 2017 FEI World Cup Dressage Final in Omaha, Neb., in April. The duo also contributed to a team bronze medal in Rio and were part of the team silver medal efforts at 2016 CDIO5* Rotterdam. Find out more about FEI Nations Cup CDIO5* Rotterdam and watch it live on FEI TV.